Private Chef for dinner party. Chef Todd prepares elegant meals that reflect the clients taste. His impeccable service and creative presentations make him a unique personal Chef. Whether hosting an intimate dinner for two, a simple gathering of friends or an extravagant celebration, Chef Todd will create a personalized event menu that fits your occasion. Chef Todd hand selects the highest quality and freshest ingredients and prepares the meal right in your own home using his own kitchen essentials such as cookware, oils and spices. The Elements of Entertaining link below is packed with useful information and details that can assist in saving some stressful moments while preparing for your event. If you have any questions or need further information please feel free to contact Culinary Creations by contact form, located on the pull down menu above, anytime or call during business hours between 9:30 am and 6:00 pm. Enjoy a custom-crafted four course meal prepared in your home. 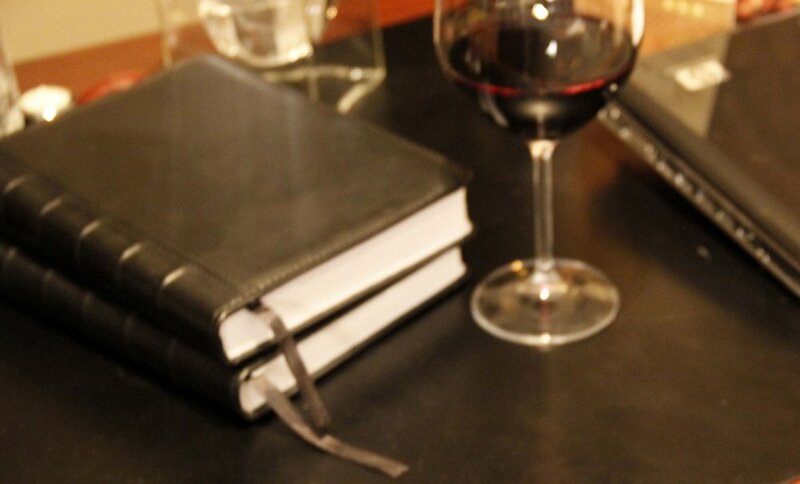 A perfect wine pairing (suggestions only) to compliment your personalized dinner menu upon request. The following menu samples below can be changed in any manner to suit your personal taste. An evening escape which will make you feel as if you where lifted into the sun-drenched California Napa Valley. A dining experience including a four course meal aimed at capturing the essence of the foods and wines found throughout the famous California Napa Valley Wine Country. Chef Todd prepares a once-in-a-lifetime dining experience for his guests with this elegant and extravagant meal. An amazing six-course dining event complete with wine pairing (upon request). This is the time to gather your foodie compatible friends around the Chef's table and indulge in an entire evening of fine dining. Wanting to have an exclusive and elegant dinner party? Entrust Culinary Creations by Todd to make that evening an unforgettable special event. Whether you're looking to host a simple intimate gathering or an extravagant affair, Chef Todd will craft a personalized dinner menu that fits your occasion. He will hand select the freshest and best quality ingredients and prepare the dinner right in your home, using his own kitchen tools and equipment. Welcome to Culinary Creations by Todd. Enjoy a gastronomic experience with private chef Todd Chase, whom tailors your event to accommodate everything necessary for an unforgettable dining experience.